Press Release – New York, NY – September 29, 2016 – Sichenzia Ross Friedman Ference LLP announced today that it has represented BioPharmX Corporation (NYSE. MKT “ BPMX) in a Registered Direct public offering of 1,550,000 registered shares of its common stock at a price of $.60 per share and 1,240,000 unregistered warrants to purchase common stock at an exercise price of $.75 per share for gross proceeds to BPMX of $930,000. Rodman & Renshaw a Unit of H.C. Wainwright & Co., LLC acted as the exclusive Placement Agent for the offering. 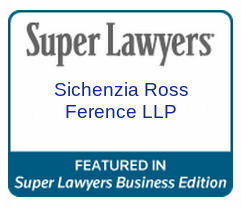 The Sichenzia Ross Friedman Ference LLP team was led by Partners Gregory Sichenzia, Marcelle Balcombe and Counsel Jeff Cahlon.